Bradfield is an Edwardian manor house set in mature gardens in the quiet coastal village of Walmer. We are situated within walking distance of the local village shops, church and bus routes to Deal town. Bradfield Residential Home was established in 1995 by Mr and Mrs Johnson, after twenty rewarding years they have passed their knowledge and experience to their daughter Rebecca and her husband David to continue providing a friendly and high quality service. 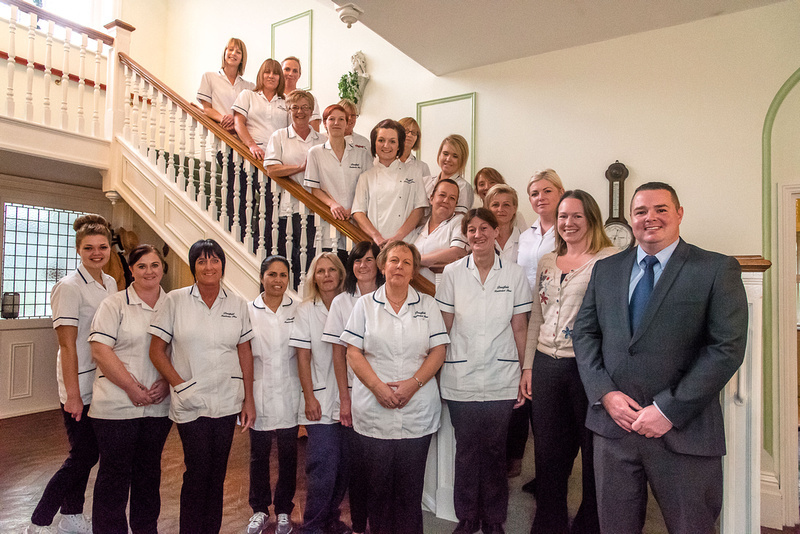 They have over 40 years combined experience in the care industry and are supported by a team of 36 staff to achieve their vision, aims and objectives for the home. Bradfield is registered to provide care and accommodation for 37 people aged 65 years and over. We have 33 bedrooms, 32 of which mostly have full en-suite facilities. Rooms offer a variety of features including balcony’s, sea views, private access into the gardens, nurse call systems and Wi-Fi fast broadband internet. All rooms are fully furnished to a high standard including flat screen TV, fitted wardrobes, touch lamps, soft furnishings and equipment adapted for independent living.